ALPS offer a wide variety of technology and styles for any type of hearing loss.ALPS focus on speech understanding, comfort, ease of use. Thus created to give you the listening experiences you desire.They also help to understand in even toughest listening situations. 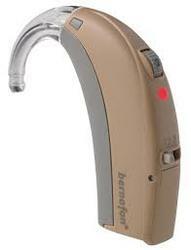 ALPS were developed to suit your individual lifestyle and hearing needs.Latest Brand Price List For ALPS Hearing Aid in delhi.ALPS contribute almost about thirty percent of the Indian market share. ALPs in terms of selling is the oldest Indian brands.